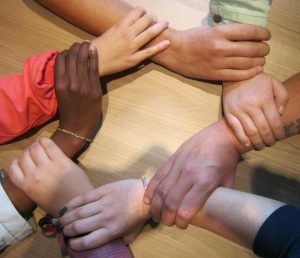 The hands of seven people, each holding the wrist of another person, forming a circle. Source: Pixabay. Picture provided by Acky24. License: Pixabay License.